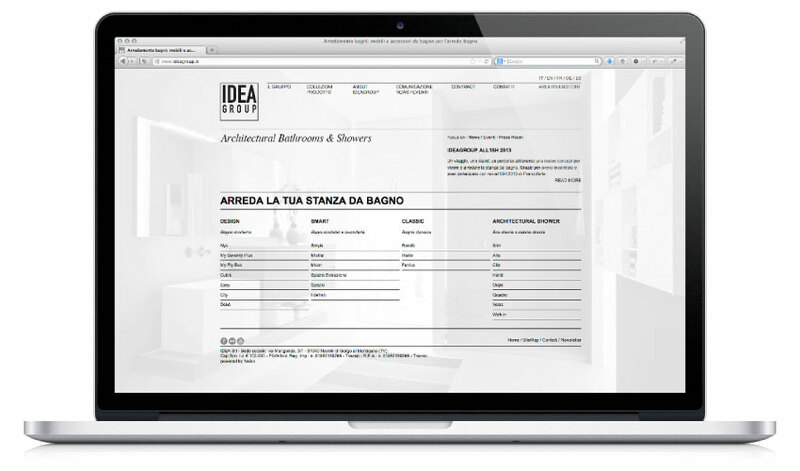 The website for Ideagroup, leader in the bathroom furnishings sector, was maintained straight and clean in colours and graphics in order to obtain a “magazine style”. In this case as well, a tailor-made CMS allows the company to update content, both on a front-end level and from the back-end perspective so that information is enhanced for SEO indexing. Another specific site designed for the Disenia brand coordinates with the group’s brand image and is equipped with a particularly effective and detailed internal search engine for products.